Click on the slideshow to make it full screen and enable the titles under options to see the details for the classes. 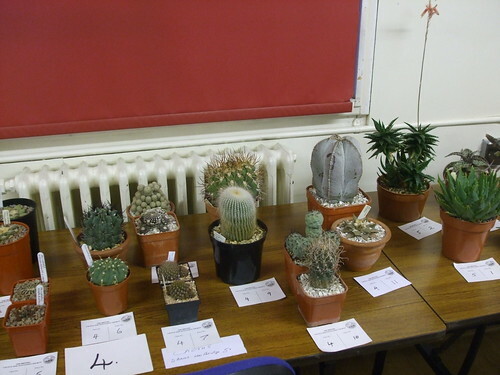 The annual show of the Sheffield Branch of the British Cactus and Succulent Society was held last weekend at the Botanical Gardens. 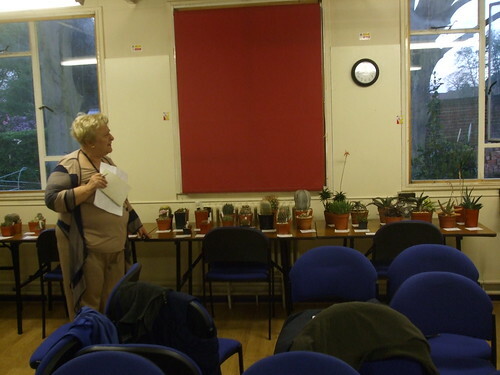 via Getting hooked on cactus growing in Sheffield – News – Sheffield Telegraph. 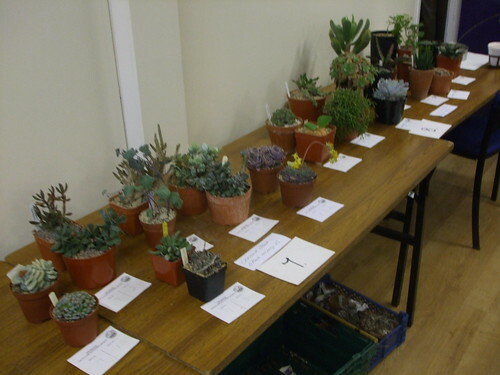 Scorching succulent show is a success – Community – The Star. Crowds enjoying the recent hot weather in the Botanical Gardens took a break from the sun for an indoor exhibition of cacti plants. Among the hundreds on show were short ones, tall ones and flowering varieties. 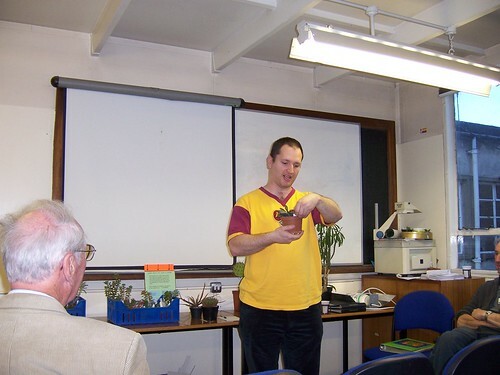 The event was organised by the British Cactus and Succulent Society Sheffield Branch. Peter Cowdell, society spokesman, said: “We had a wonderful show, with a record attendance, superb weather, a good mixture of young and old visitors and super plants on display. Our May meeting featured Cathy & Bill Darbon coming and giving us a mini judges’ course. The René Geissler visit was reportedly a success with good plants at good prices and more importantly CAKE! The deadline for show entry form submission is fast approaching (Thursday 24th May). Remember 1 plant entered gets you free entry to the Gardens. 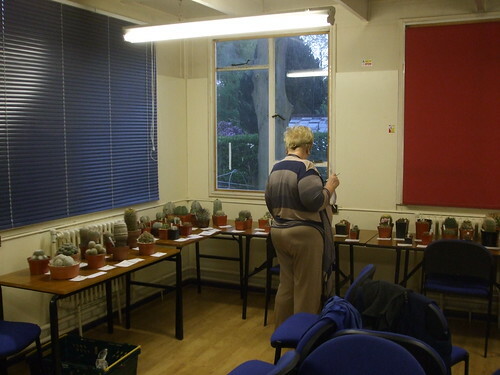 Gill has raffle tickets for the National Show draw (The proceeds fund conservation projects). There will be a free coach to the National show organized by Coventry Branch which will leave from Rugby. Talk to Derek for details and to indicate interest so the numbers can be worked out in advance. Most show classes are sponsored so there is a chance for prizes. Bill started off with a discussion of the details of setting up a show – venue, food & refreshments (BACON BAPS), organization – branch & committee, show judge schedule approval, getting prize cards, Guide to Shows (9th Edition). be aware of stoleniferous plants that appear to be more than one but are not. Pests – ask the steward to remove it. I didn’t catch who won the judging competition. Probably because I was busy laughing at my own negative score. Ouch! CactusWorld – Online • View topic – Pictures from the North West Cactus Mart. 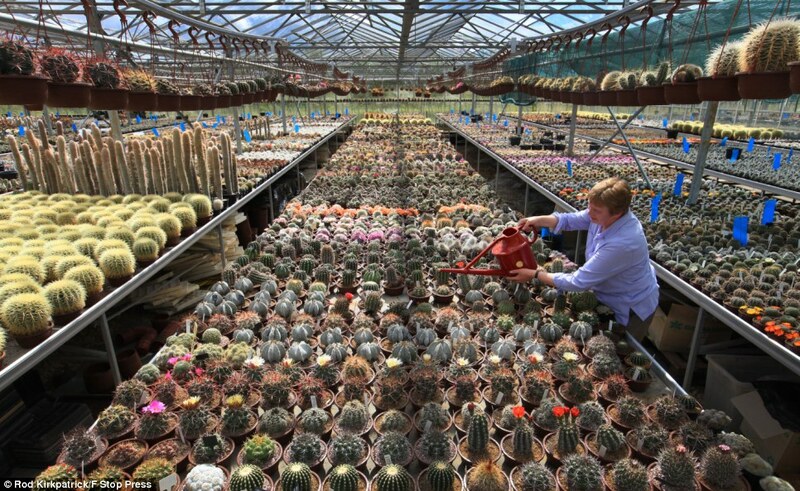 Britain’s largest cactus grower has seen a spike in sales as the hot weather and hosepipe bans threaten to wipe out ordinary garden plants. ‘People are buying more indoor plants for their homes and conservatories because they’re struggling to keep plants alive in their gardens,’ said 60-year-old Linda Goodey, who runs Cactusland with her husband Bryan. ‘We’ve also noticed a growth in sales that matches the increased popularity of conservatories. 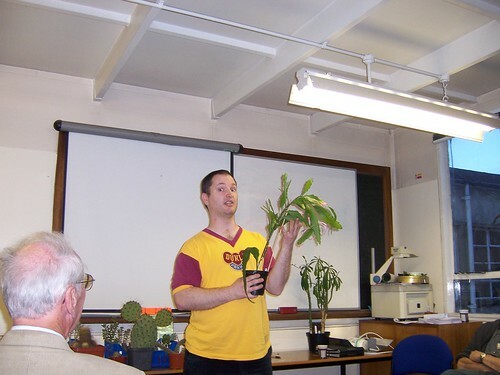 April Meeting – Plant Auction. *Note that the course is mini not the judges. BCSS Birmingham prides itself on not being heightist! If you are interested in going on the road trip to Rene Geisller’s Nursery on the 6th of May get in touch with Arthur, Stuart or Derek to add your name to car pooling arrangements as either a driver or passenger. Remember to get propagating for the show plant sales (Show is May 27th). 25% goes to branch funds and is an important part of our finances. The auction was interesting but I think that maybe the branch collectively suffers from a lack of space in members’ greenhouses. Be afraid of this cactus! Very afraid! Alcatrez. Not so bad actually! Bamboo, Succulents and More: The gardens of Alcatraz, part 2.